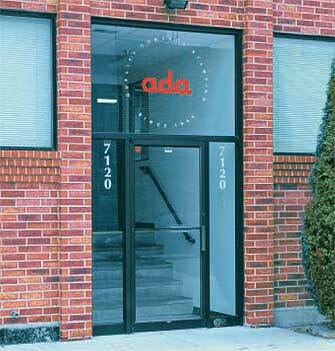 Welcome to ADA Metal Products! Take I-90/94 to the Kennedy/Edens Junction, take I-94 (Edens expressway) to exit 39B (Touhy East). At the end of the ramp, turn left (north) for 1/3 mile then turn right (east) on Touhy Avenue. Continue east on Touhy 2 miles to Capitol Drive. Park on the east side of the building. Take I-94 (Edens Expressway) south to exit 39B (Touhy East). Merge on to Touhy Avenue and Continue east on Touhy 2 miles to Capitol Drive. Park on the east side of the building. Take I-90 (Kennedy Expressway) east to exit 84 (Lawrence Avenue).. Take Lawrence Avenue east 1/2 mile to Cicero Avenue, turn left (north) on Cicero 1/2 mile to Foster Avenue. Turn right (east) at Foster Avenue 1/4 mile to I-94 (Edens Expressway). Turn left (north) onto I-94 for 2 miles to exit 39B (Touhy East). At the end of the ramp, turn left (north) for 1/3 mile then turn right (east) on Touhy Avenue. Continue east on Touhy 2 miles to Capitol Drive. Park on the east side of the building. � 2015 All Rights Reserved. 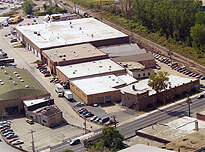 Ada Metal Products, Inc. Web Site Design: ProPlanet Internet Solutions, Inc.